24 Commercial Real Estate & Properties in Narangba are listed in 4 categories. We have 24 Industrial Warehouses Lease , 5 OfficesLease , 1 Development LandsLease and 1 Retail ShopsLease . Ray White Commercial Northern Corridor Group are pleased to offer 1A/1 3 Business Drive, Narangba for lease. 35m2 Professional Office Space Ducted Air Conditioning Kitchenette High exposure to Boundary Road Ample power data 2 On site car parks For more information please contact Blake Primrose or Chris Massie. Modern Tilt Panel Warehouse With Mezzanine Lease $33,888 P/A Net | S..
Ray White Commercial Northern Corridor Group is pleased to offer Unit 10, 29 39 Business Drive, Narangba for Sale or Lease. 239 m2 Warehouse with Mezzanine Due For Completion April 2019 Brand New Tilt Panel Construction Plenty Of On Site Car Parking Close proximity to North Lakes and just 2.5 km (approx.) to the Bruce Highway Functional complex design with drive through b double access Close proximity to major arterial roads Nearby Bunnings and Costco Contact exclusive agents Chris Massie or Aaron Canavan for further information today. 450 m2 tilt panel constructed warehouse + office comprising of the following: 250 m2 open plan warehouse Container height roller door (electric) 3 phase power Toilet amenities Kitchenette Glass door entrance Showroom/reception area 200 m2 first floor quality office space Separate entrance 2 x private offices Boardroom Multiple phone data provisions Air conditioning throughout Kitchen facilities Toilet amenities Quality and modern in presentation, this unit is in a great location and has fantastic signage exposure ample parking. Option to take either the office or warehouse or both! Call The Commercial Guys today to book your inspection or for further information. Unless otherwise stated, the price/property may be subject to GST. Ray White Commercial Northern Corridor Group is pleased to offer 3/1 3 Business Drive, Narangba for lease. Features 450m2 Warehouse/Office Facility Comprising of: 200m2 First Floor Office Space 250m2 Industrial Warehouse Full Height Electric Roller Door Open Plan Warehouse Space 3 Phase Power Air Conditioned Office Kitchen Facilities On Site Parking Boardroom Internal Amenities For more information or to book an inspection please contact Aaron Canavan or Chris Massie. 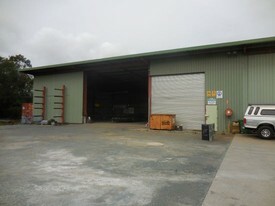 Ray White Commercial North Coast Central is pleased to offer Unit 3A, 1 3 Business Drive, Narangba for lease. Features: 200m2 Professional Office Space First Floor with Air Conditioning Located in Clean Complex Fronting Boundary Road Internal Toilets Kitchen Facilities Located Short Distance to Bunnings, Costco, North Lakes Business Park and Easy Access from Bruce Highway For more information or to arrange an inspection, Please contact Aaron Canavan or Chris Massie. 360m2 tilt panel construction warehouse Comprising 200m2 warehouse + 160m2 mezzanine floor office Electric container height roller door Separate glass door entrance Multiple work stations Reception area Toilet and shower amenities Kitchenette/lunch room Board room Large open plan work space 3 x private offices (air conditioned) Located in busy sought after Narangba industrial complex Easy access to the Bruce Highway Contact The Commercial Guys for more information or to arrange an inspection. Unless otherwise stated, the price/property may be subject to GST and/or outgoings. 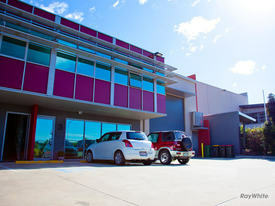 Ray White Commercial Northern Corridor Group is pleased to offer Unit 3B, 1 3 Business Drive, Narangba for lease. Features: 250m2 Modern Industrial Facility Comprising of : 200m2 Warehouse : 50m2 Immaculate Office Space Located in Clean Complex Fronting Boundary Road Internal Toilets Kitchen Facilities Electric Roller Door Access 3 Phase Power Outgoings Included in Rent Located Short Distance to Bunnings, Costco, North Lakes Business Park and Easy Access from Bruce Highway For more information or to arrange an inspection, Please contact Aaron Canavan or Chris Massie. Great, Clean Shed In Prime Location $3,000 per month (incl Ou.. Brand new 146 m2 high bay warehouse Tilt panel construction Container height roller doors High bay lighting Ample onsite parking Flexible fit out options, Landlord is prepared to work with tenants requirements Secure now! Contact The Commercial Guys to arrange your inspection or for further information Unless otherwise stated, the price/property may be subject to GST and/or outgoings. 76 m2 approx. 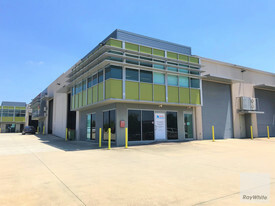 office Comprising: 38 m2 upstairs 38 m2 down stairs Air conditioned throughout Brand new carpet New Paint Disabled toilet access Shower Kitchenette Plenty of parking space on site Facing the Bruce Highway Contact The Commercial Guys today to arrange your inspection or for further information. Unless otherwise stated, the price/property may be subject to GST and/or Outgoings. Industrial Warehouse With Hardstand Narangba $3,300 pcm inc GST + Outg..
Industrial Warehouse With Hardstand Narangba $4,950 pcm inc GST + Outg..
Large Warehouse With Bruce Highway Exposure $5,740.00 pcm plus GST pl.. 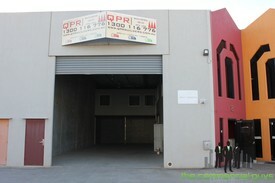 Warehouse With Office Fit Out $2,540.00 pcm plus GST pl.. Excellent Industrailwarehouse Narangba $4241.80 pcm Inc GST plus..
Quality Industrial Warehouse With Additional 900m2 Hardstand Narangba $3,588.75 pcm inc GST + O..